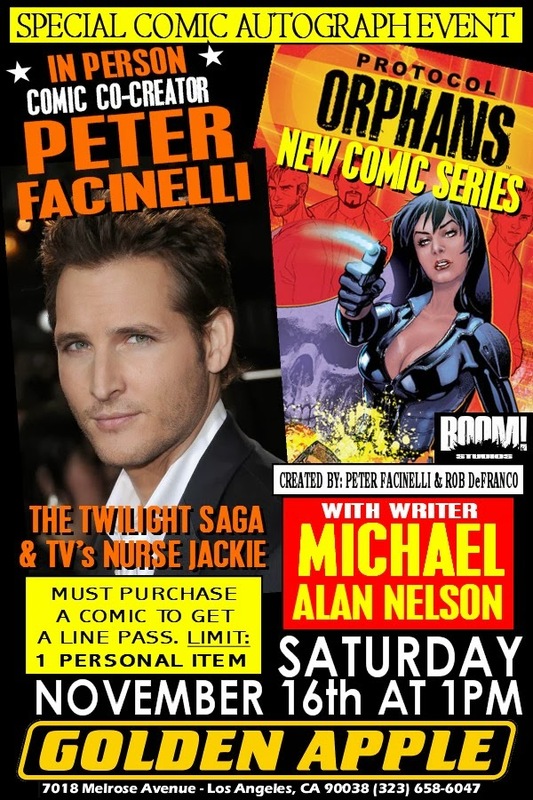 Meet Peter & Michael and get Issue #1 of their comic autographed on SATURDAY NOVEMBER 16TH AT 1PM. **MUST BUY A COMIC BOOK TO GET A LINE PASS. 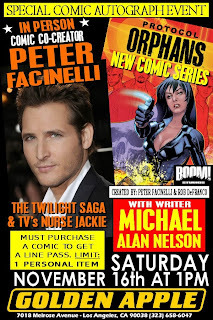 Golden Apple Comics open at 11am and will to sell the comic book and hand out line passes.